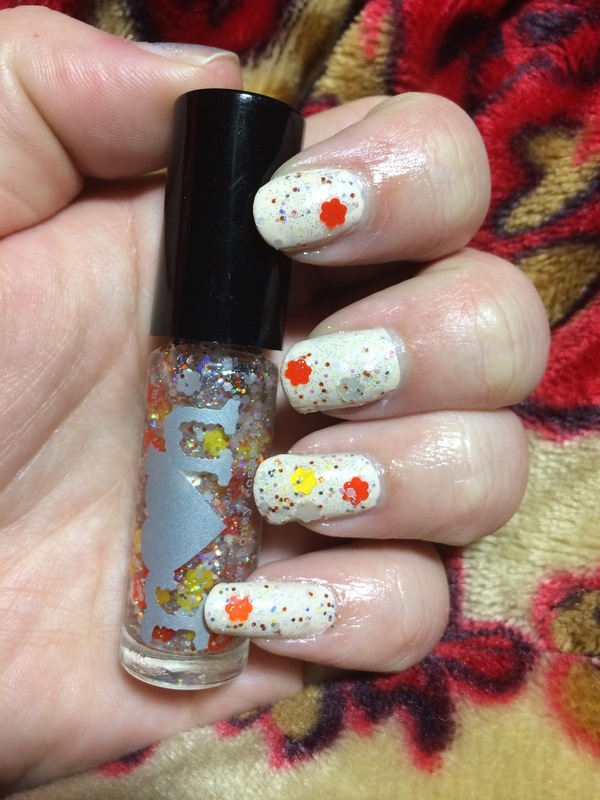 This polish is unlike anything else I have from other brands. 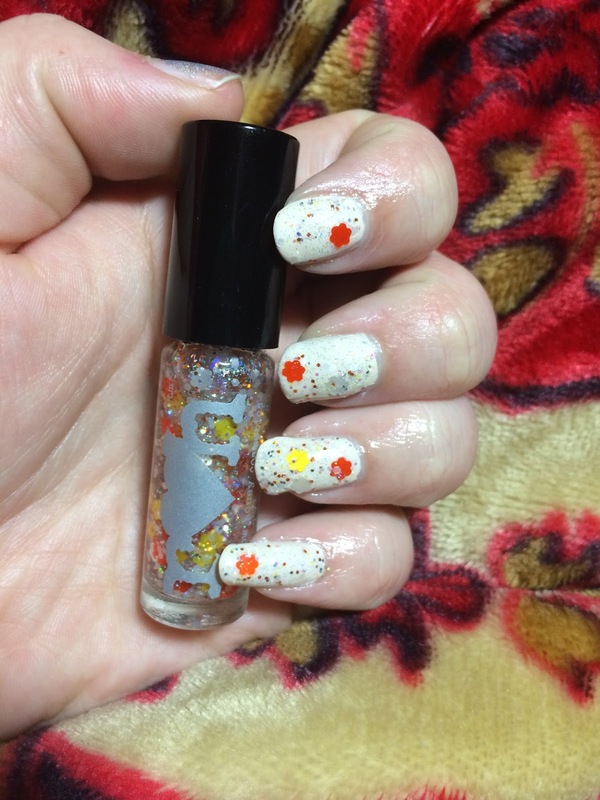 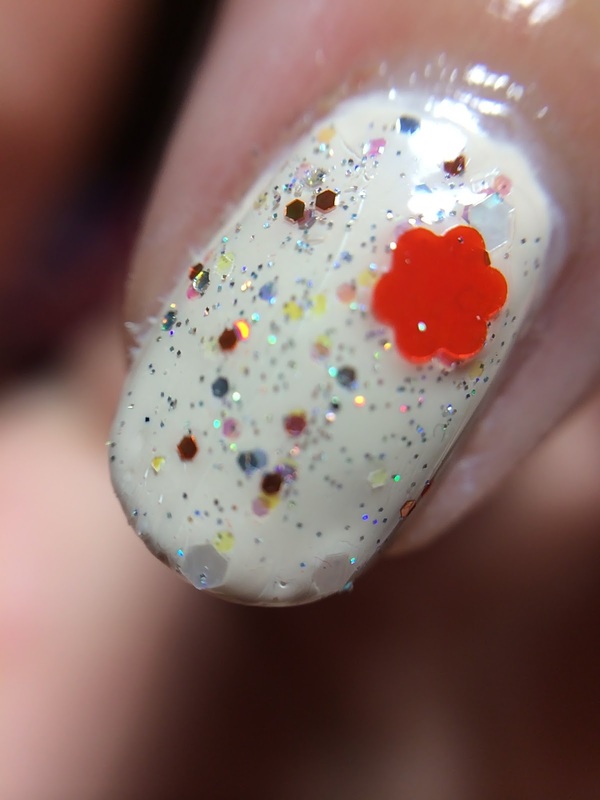 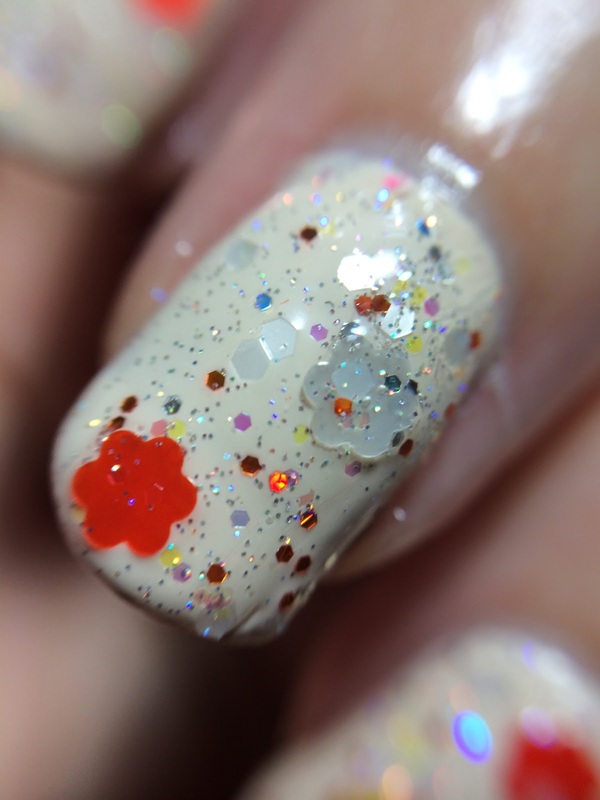 I have a similar polish from Rainbow Honey Sakura Matsuri which is White and pastel pink flower glitter. 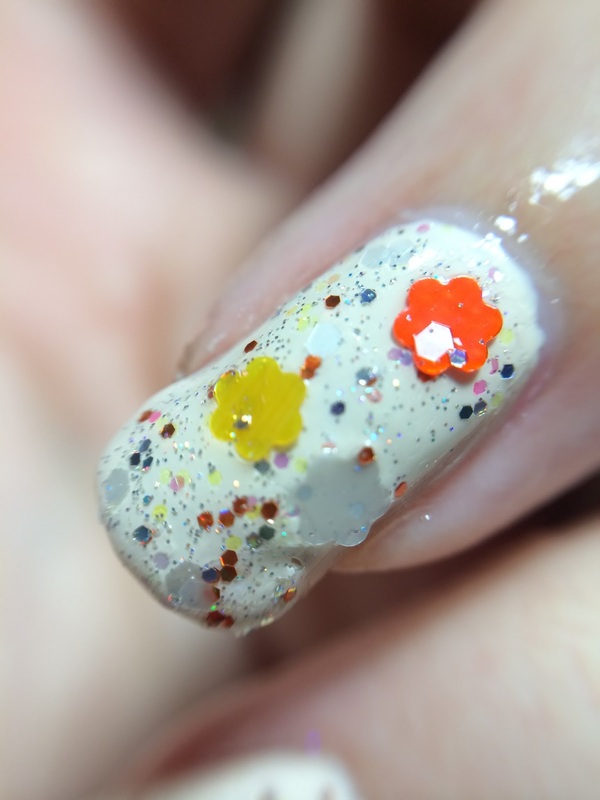 This is more spring and vibrant to me and I love the color. 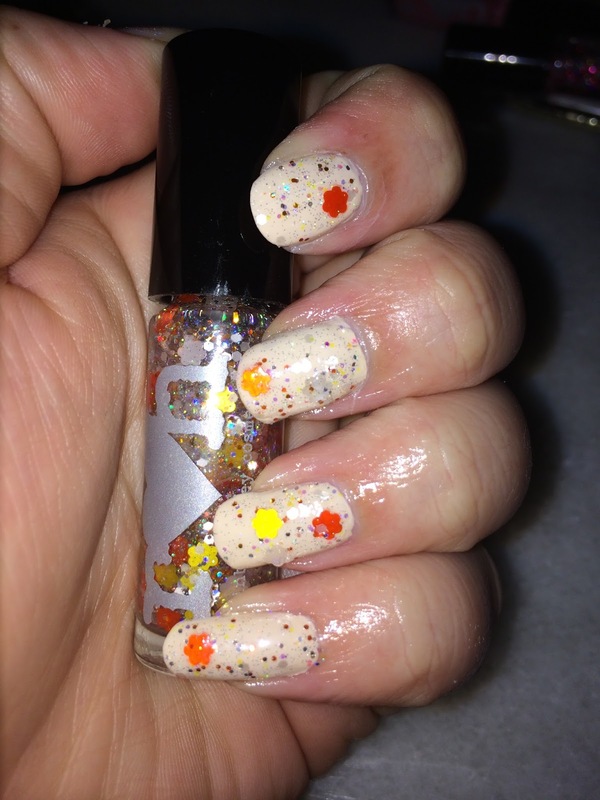 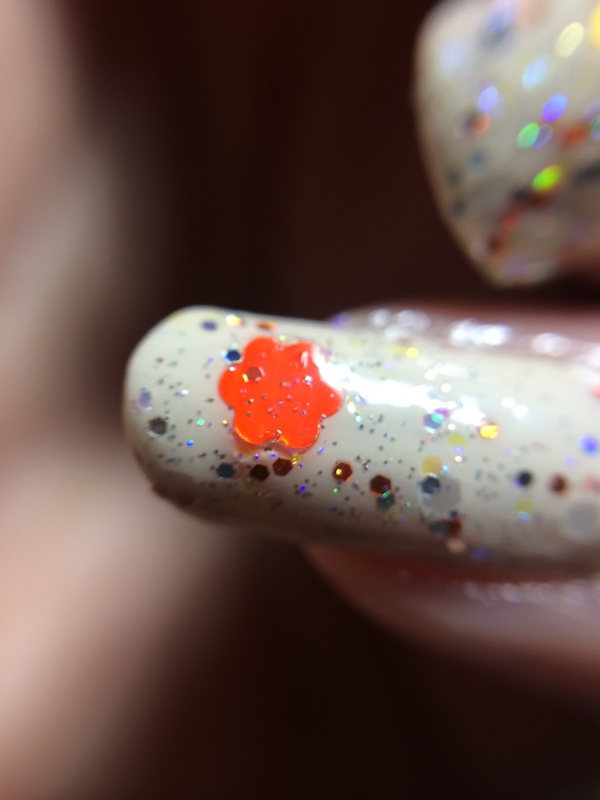 Summer blossom - a festival of orange, yellow, and white blossoms in a sea of iridescent and holographic glitters. 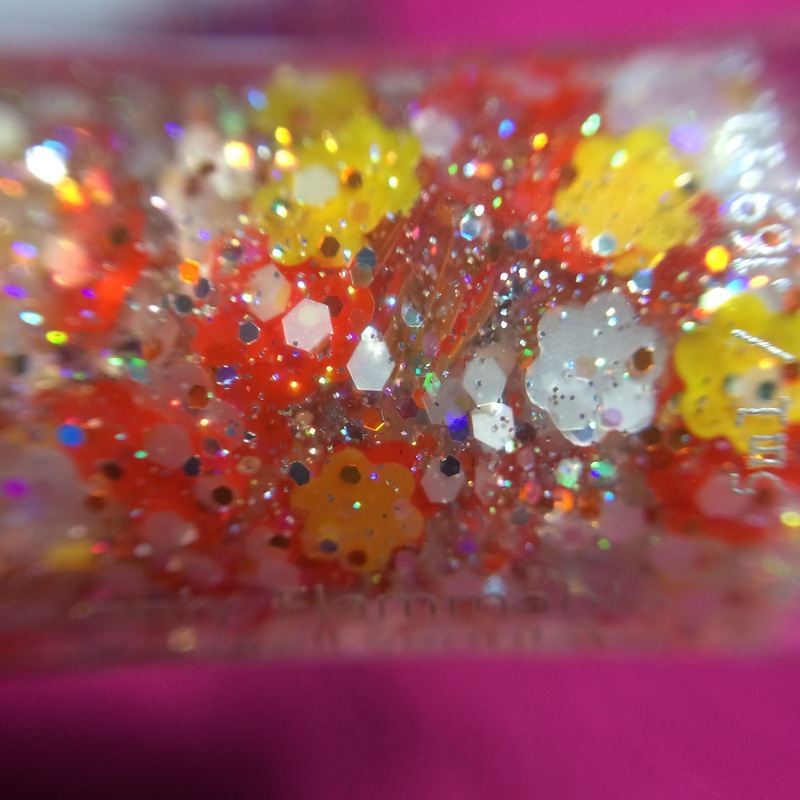 Keep reading for discount code and macros! 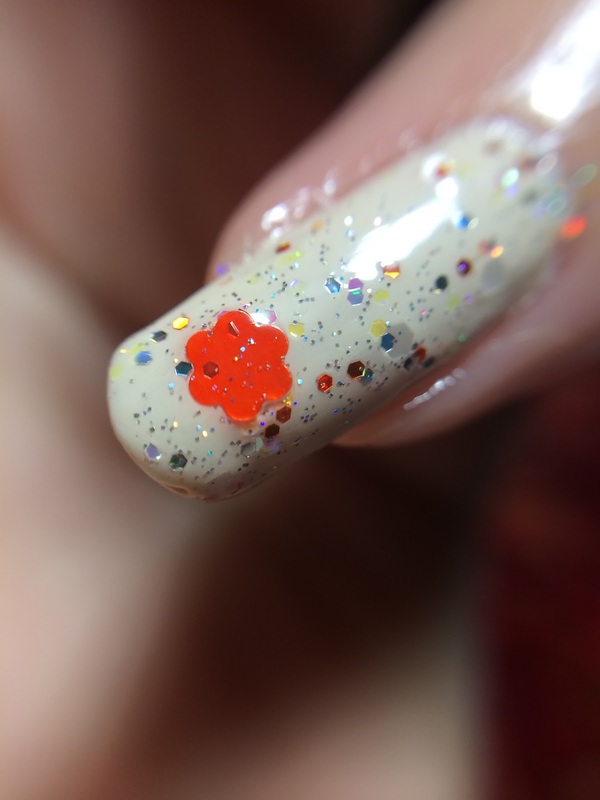 I used 2 coats over My boyfriend is buff by OPI. 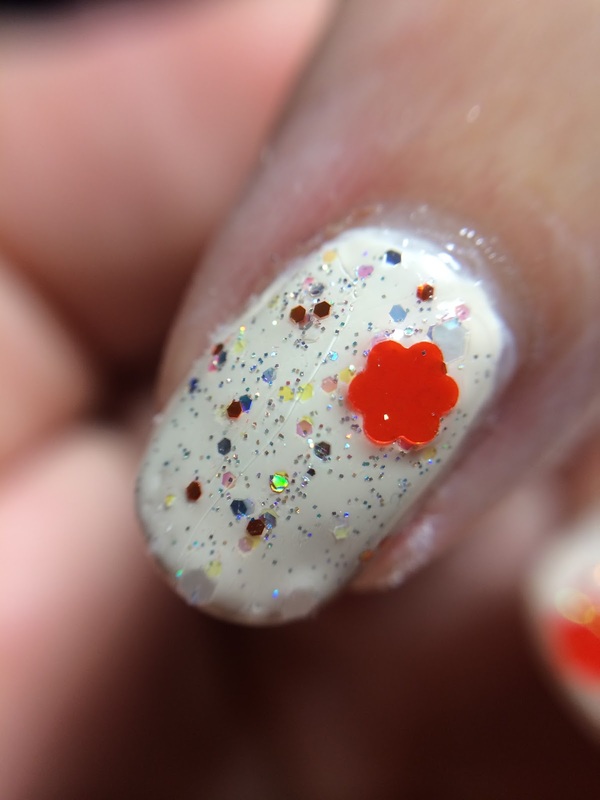 Smooth application and quick dry time.